The Winchmore Hill Area Forum on 7th March had a theme of health and travel. An above-average turnout heard from Healthwatch Enfield – the borough’s organisation which monitors all aspects of health and social services, anywhere there is care, from GP to opticians to social care providers. See their website to find out more. Stop smoking – the single biggest thing to improve one’s health chances. All help us live longer and better. 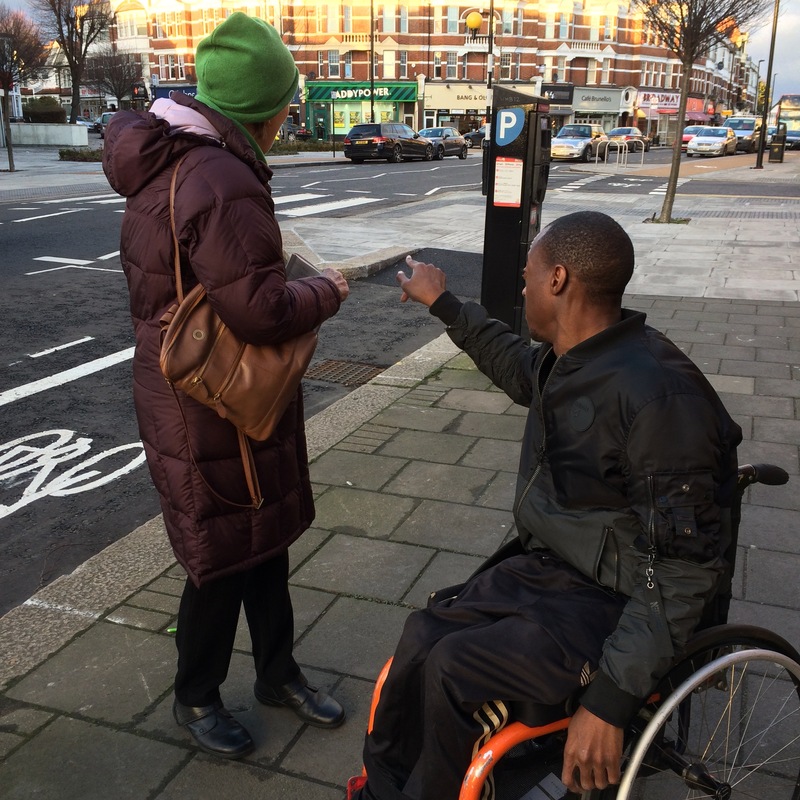 The meeting also heard from Ashley Hull-Olowlabi, Enfield resident and charity worker who lives with cerebral palsy and advises the council on transport issues from his wheelchair. Ashley outlined many of the challenges he faces in getting about day to day, from rail stations without disabled access to coffee shops with heavy doors. Not surprisingly, early questions were focused on Cycle Enfield and in particular the cycle lanes. Not a problem, he told us. Indeed the revised kerb features made his life easier, but the biggest improvement was the installation of the bus stop boarders. Here the raised trajectory apparently allows much easier access to and from a bus. (The following day we read of one local political party who plan to remove bus stop boarders should they win the local elections. Tough luck Ashley). So – as with the blind speaker from the RNIB at the previous meeting, we hear the cycle lanes are not an issue, or as he put it, “We’re not dinosaurs”. We’d love to hear from other ward forums in the borough where streets are discussed – email us on info@betterstreets.co.uk with your feedback. We also do presentations on the aims of Better Streets at local ward forums so feel free to ask.